Armored vehicles were deployed to cordon off Diraz’s Imam Al Sadiq Mosque, which used to host the largest Shiite congregation in the country. Concrete barricades and police checkpoints were also used to restrict people’s freedom of movement throughout Diraz. 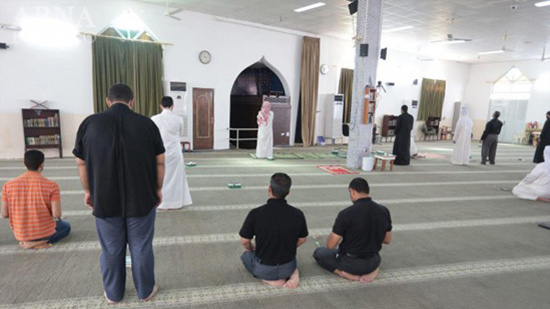 A small number of Shiite worshipers trickled into the mosque to perform individual prayers after the Friday Prayers’ Imam was prevented from entering the town. Diraz is home to some 30,000 people, who have been subjected to an unprecedented lockdown by Manama’s security forces since the denaturalization of Bahrain’s highest religious authority, Sheikh Isa Qassim, on June 20, 2016.